A Travelers Rest landmark for over 90 years, the Locust Hill School is ready once again for life and laughter to fill its halls. 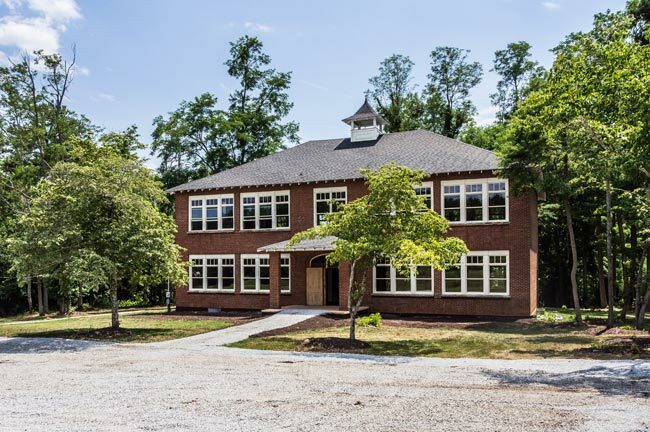 Built in 1923, the two-story school building spans 7,580 square feet over 3.7 acres of land and included a gymnasium and auditorium when it was completed. The auditorium was used not only for school events but also as a community space for meetings and social gatherings. Locust Hill School operated for forty years before changing hands several times and was subsequently used as everything from a residence to a church. The schoolhouse then sat vacant for several years, eventually falling into disrepair. In 2013 the school building was purchased by local residents Bill and Gail Stephens. At the time, Bill Stephens owned an environmental engineering firm and wished to restore the building as his firm’s office. Merely rendering the school building structurally sound took over six months, while the renovating process required two years of work. Stephens’ restoration included using building materials and methods that would have been used in the school’s original construction while also adhering to modern building codes. Several original components of the school remained intact during the process, such as the oak and heart pine floors, the auditorium stage, and the lines painted on the basketball court. Despite the effort and money the Stephenses poured into the school’s extensive renovation, they eventually decided to sell both the engineering firm and the building. In 2015 the Locust Hill School and surrounding acreage were placed on the market. 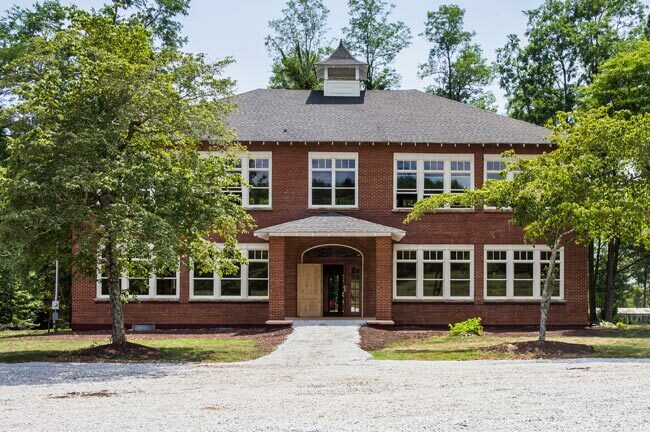 Though the future of the former Locust Hill School is uncertain, the meticulously-restored building was saved by an enterprising couple and will hopefully once again serve the community of Travelers Rest.